Most women crave big, thick, luscious lashes, but picking the perfect mascara for the job can, sometimes, feel like rocket science. The beauty market is packed with different mascaras that promise the moon. There are lengthening mascaras, thickening mascaras, mascaras for volume, different formulas and wands; there are even some that vibrate. It's enough to drive a woman insane. No wonder we waste a lot of time shopping for mascaras in different beauty stores, trying to figure out which one we should take home. We're tempted to buy more than one, but often, leave the store feeling utterly overwhelmed and confused. No more of that! Here are basic tips that will help you choose the best mascara for your lashes, without having to waste a lot of time and money. What's More Important: The Wand or the Formula? It's a question that's been haunting women for years. The short answer is they are equally important. The perfect mascara is like the perfect marriage: The formula and the brush perfectly complete each other and work together without overpowering one another. And the brush never forgets when it's their marriage anniversary. Getting back to the point, applying the same formula, using different wands can result in different looks. But here's a little secret the beauty industry doesn't want you to know: When it comes to mascara formulas, things haven't changed much in the past 50 years. Most formulas are made of the same basic ingredients: wax, pigments, and film formers. The same cannot be said about the applicators. So, if you have to choose between two mascaras, one with a ''breakthrough'' wand and the other promising a ''breakthrough'' formula, buy the first one. It's most likely a better investment. Small brush with thick bristles. If you have small lashes, this is the brush for you. It also works well on lower lashes. Long, comb-like brush. If you want to define and lengthen your lashes, look for this brush. It is not great if you need volume, though. Large round brush. This one is for volume. The more bristles, the better. Curved brushes. You've guessed it; these are great if you want to curl your lashes. Spherical brush. This allows you to be more precise and apply mascara on those hard-to-reach lashes. Sure, you probably want long lashes that are curled and have volume. Well, finding a miracle product that does it all is highly unlikely. Focus on a single "problem" area to achieve a maximum effect. 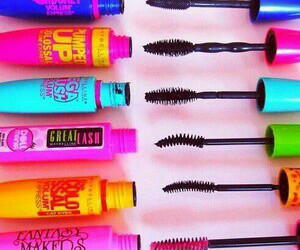 So How Can You Find the Perfect Mascara? Let's do a quick recap: Focus on the brush, not the formula. Choose a brush shape that fits your needs and your lash type. If you want thick eyelashes, don't choose a lengthening brush. If you want volume, stay away from long brushes with evenly spaced bristles. When it's all said and done, a good mascara is essential for flawless-looking make-up. Now that you know what to look for, you can go back into the beauty store feeling more confident in your ability to pick the perfect mascara. I'd love to hear what you have to say on the matter and some of your experiences with mascaras! Don't hesitate to share your opinions and thoughts in the comment section below.